I stumbled across these oh-so-special baby quilts on LilSugar and just had to share them with you. 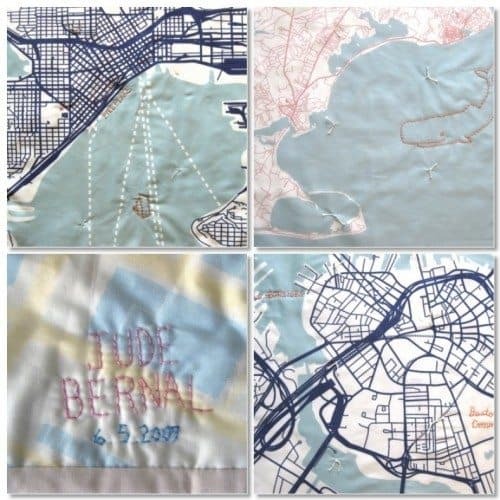 You can now get a quilted map of your favorite city and/or neighborhood on a baby quilt. You can have any place in the world customized for you, but many popular US, Canadian and international cities are already available (go see if your city’s available). 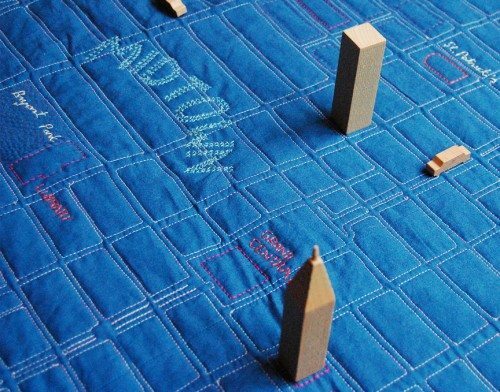 And, if you happen to live in New York City, neighborhood map quilts are already designed. All you need to do is choose your color and whether you’d like monogram personalization (yes, please). 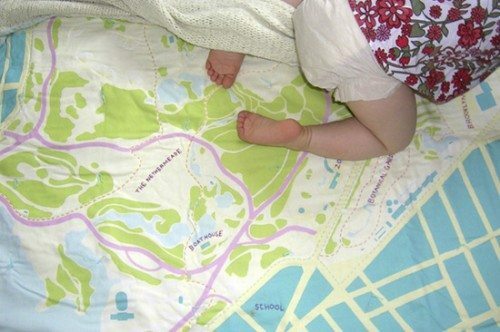 You can even add three additional locations to the readymade city baby quilts. As you can see from the photos here and the pictures on the website’s gallery, stitched in the quilts are details such as neighborhoods, parks, monuments, popular building, and landmarks. I’m always looking for an unique baby gift (with keepsake potential) with which to shower my friends. Now, I know what I’ll be gifting for a while to come. Isabel says: the baby quilts I linked to are $95 to $125. I think you must have been looking at the prices of the customized adult quilts.